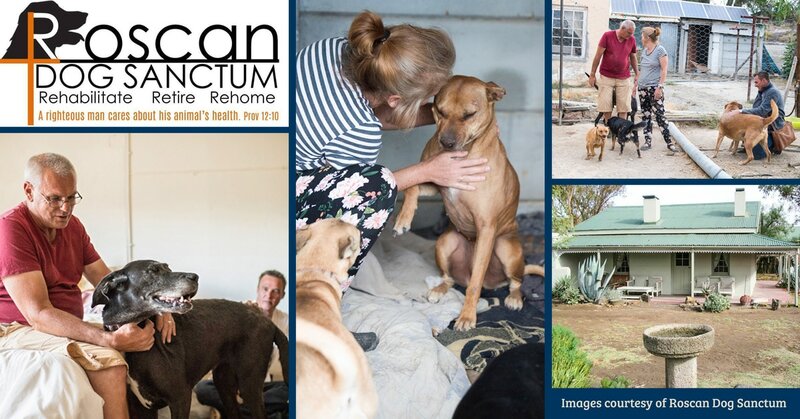 Just off the N1, on a farm outside a town called Touws River, an extraordinary couple has created a canine retirement home for the elderly, the sick and the desperate, aptly named Roscan Dog Sanctum. It’s a heartbreaking scene and a reality that most of us don’t want to face. Yet this is exactly what Duncan and Rosemary Briggs do day after day. 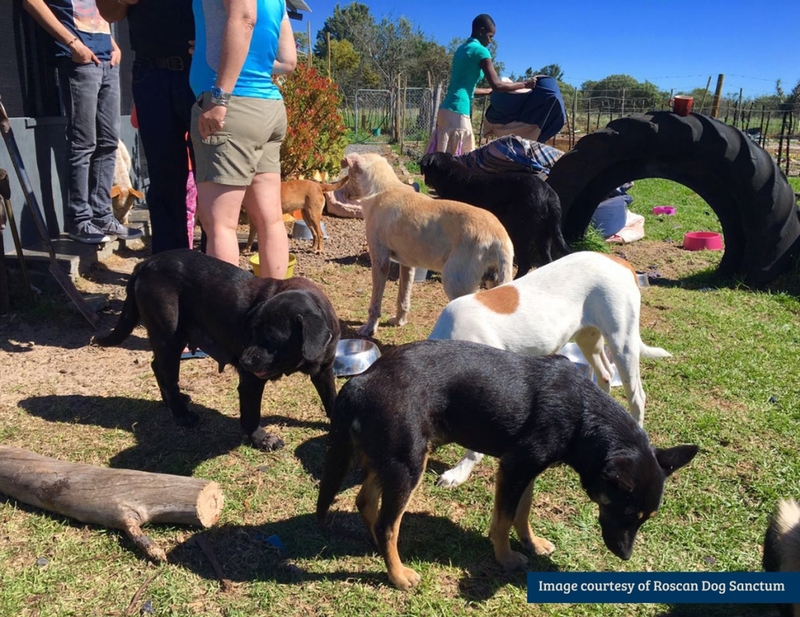 However, at Roscan Dog Sanctum, each dog is given a chance to live out its last years or months surrounded by love and other dogs on a tranquil farm outside Touws River in the Karoo. For Rosemary and Duncan, the act of caring for the old and the sick came naturally. After adopting their first rescue, Roxy, in 2015, three others, Dude, Max and Jack, followed. However, after following several groups on Facebook, they soon realised how great the need was to care for homeless dogs. After accepting their first foster dog, who came with mange off the street, their home’s doors were opened, never to be closed again. “I had never had a dog that wasn’t healthy,” says Rosemary. Currently, Roscan (the couple’s ‘take on Brangelina’ — Rosemary + Duncan) houses 42 dogs, with two in the process of finding their forever homes elsewhere. One of the challenges of being further away from the big cities is that transport costs are a major problem. The vet is 60km away, while potential adopters also want to see the dogs first, so prefer to rather visit animal shelters in and around Cape Town. Yet Rosemary and Duncan are determined to keep providing the safe, peaceful shelter to the canine souls under their care. One such soul is Grace. It’s stories like these that keep the Roscan Dog Sanctum filled with joy and the courage to continue their sacred work.